Tax season is right around the corner. As you get ready to prepare your 1040, it helps to first organize your paperwork, and then sit down and think about deductions. If you hire a tax preparer to file, bring all your paperwork and any notes about potential deductions to your appointment. If you self-prepare, compile your documentation in one place, and block off some time to get it done. Take caution to not overlook these deductions. Many people don’t think about out of pocket health expenses as a tax deduction, and fewer still track these expenses throughout the year. Remember that small expenses over time can add up quickly, and the IRS rule regarding these expenses recently changed. You may now only deduct by which your medical expenses exceeded 10% of your adjusted gross income. This includes qualified dental expenses in addition to medical expenses. If you failed to track your expenses this year, start next year. When you prepare your 2014 taxes, you may be in for a pleasant surprise. Whether we’re talking about a contractors general liability insurance, or your own health insurance, this is an area often overlooked. Careful tracking is required in order to properly take this deduction. The IRS only permits deductions of these expenses if neither you nor your spouse were able to obtain insurance through a qualified employer plan. Eligibility is determined on a month by month basis. Keep your goodwill or Church tithe records as you donate throughout the year. One deduction here, another there, and pretty soon you have a hefty sum to deduct from your taxable income. Give away your stuff, but don’t give away your tax credit. Anyone with children knows that daycare is not cheap. Most people qualify for this tax credit if they pay for someone to watch their child who is under the age of 13. Typically, up to $5,000 in eligible expenses are tax deductible. The same type of tax deduction applies to a spouse or other dependent who his unable to care for themselves. See your tax preparer, or the IRS website for more information on the child and dependent care deduction. There are a number of different ways to save for retirement. One of the most common ways is via an individual retirement account (IRA). For 2013, the maximum contribution is $5,500, and you must not exceed income maximums in order to take the full deduction. Keep in mind that only contributions to traditional IRAs are deductible, ROTH IRA contributions are not tax deductible. Keep the potential for future deductions in mind as you set up your IRA account. If you are over the age of 50, you may make a catch up contribution in the amount of $5,500, and the contribution is due by your tax return due date in order to qualify. Successful tax planning does not have to be overly complex. Success simply requires a deliberate strategy, and thoughtful execution. 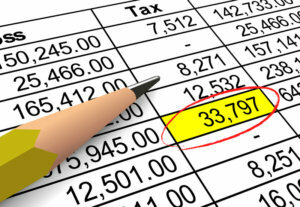 If you failed to plan adequately for 2013, resolve to begin planning for the 2014 tax year.